When your pet needs care, we’re here to help. East Ventura Animal Hospital is staffed by a team of nurturing professionals, committed to the health and wellness of animals. We are dedicated providers of wellness care, preventative medicine, internal medicine, and more. Hi there!!!! My name is Jill and I am the Hospital Manager here at East Ventura Animal Hospital. I am a Registered Veterinary Technician and have worked in the Veterinary field since 1993. The last 14 years I worked predominantly in Veterinary Emergency and Specialty. I hold a Bachelors of Science in Business with emphasis in Management degree. I currently have 2 dogs and a cat and all of my animals were rescued. Lucy is my Pitbull that loves to give wet kisses and Ricky is a Hound/Mastiff mix that likes to have bad behavior and steal food off the counters. Avery is my geriatric kitty that loves to have all of the attention. My family also includes my husband Mike, our daughter Lily (6 years) and son, Mason (21 months). We are licensed foster care parents and adopted both of our children though the foster care system. In our spare time, my family and I enjoy spending time camping (the beach is our favorite), dirt bike riding and being outdoors. Ashley received her AA in Biology with an emphasis in Marine Biology from Ventura and Oxnard Colleges. 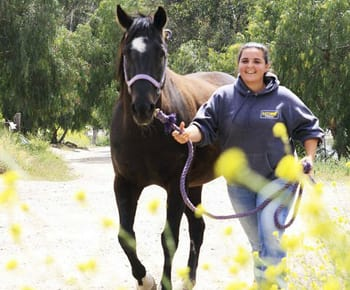 In 2008 she started her Veterinary medicine career with the East Ventura Animal Hospital. 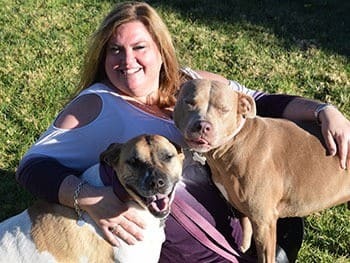 She received her Certified Veterinary Assistant certificate through the CVMA in 2011 and completed the Hill’s Veterinary Nutritional Advocate program in 2012. Currently, Ashley is working on her RVT through the local ADHOC alternate route program. For fun, Ashley enjoys spending time with her husband, son, and extended family playing at the beach, walking their 2 dogs, Kala and Lilo, eating chocolate and drinking iced tea. And she has a cat too!! Emily was inspired to work with animals after the loss of her 18-year-old Cocker Spaniel named Rusty in February 2014. That December she became a Veterinary Assistant at the East Ventura Animal Hospital. She was born and raised in Oxnard, California and currently has a 10-year-old Chihuahua named Buddy and a 5-year-old Chihuahua mix named Baby. She is a huge football fan and also a part time drummer. 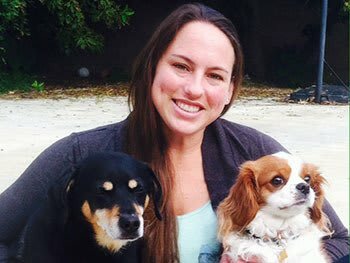 Isabelle joined East Ventura Animal Hospital in February 2016 as a Veterinary Assistant. Her Veterinary Journey began in October 2006. She has worked in a feline only hospital for just about 10 years. Isabelle is currently looking into and plans on enrolling into a college to obtain her degree as a Registered Veterinary Technician. Since Isabelle was a young girl she knew she would be a part of the medical field in some way, shape or form. She enrolled in human medical courses and then wanted to further our knowledge by pursuing Human Phlebotomy. Isabelle has been a licensed Human Phlebotomist since 2011. Isabelle tried the human aspect of the medical field but quickly realized that animals are her true passion. Here at East Ventura animal hospital Isabelle is able to utilize her phlebotomy skills with our furry patients. 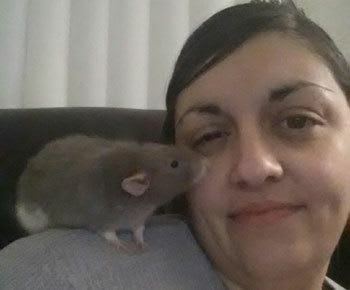 Isabelle has pets of her own to keep her busy, four Dumbo rats named Matthew, Mark, Luke and John. When Isabelle is not working she is busy at home spending time with her husband and two children. She is actively involved in her church and loves to keep busy with crafts such as crochet and sewing, just to name a few. 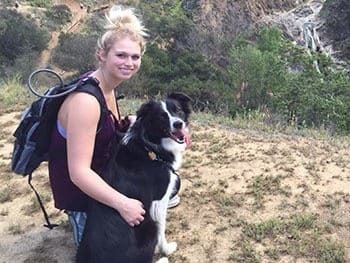 Born and raised in Ventura County, Jenn has always followed her passion for animals, she became a dog trainer and worked as a trail guide on horseback before joining our the team in February 2018. When not working she’s spending time with her own pets which include three dogs, Sirius Lee, Zoey and Evo, a horse name Fancy, a goat and bearded dragons. In her spare time, she’s active in church and often found either on a Harley Davidson or driving a carriage. Jessica started working at East Ventura Animal Hospital in March 2016. 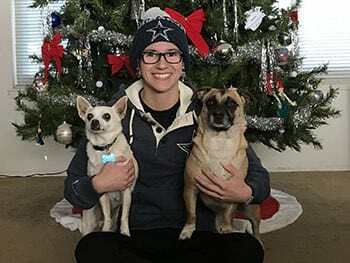 She is a Veterinary Assistant and is currently in school for an associate’s degree in Veterinary Technology and aspires to become a Licensed Veterinary Technician. She is a military family and is originally from Washington State and has moved a few times before ending up in California with her husband and fur babies. She has a passion for animals and has been in the field for about 4 years now. She has two 5-year-old cats, Simon & Sheldon, and a 4-year-old Border Collie named Griffon. In her free time she studies and loves to go on hikes. ​Patricia started working at EVAH in September of 2016 and is a vet assistant. Patti comes from a 5th generation Ventura County Farming Family and has had animals her whole life. She has been in the veterinary field for about 4 years now. Her fur babies consist of 4 dogs (Guido 14, shorty 8, Bravo 4 and River 2), 1 cat named Earl who is 12 years young and her 2 horses, Truckee (18) and Joe (4). In Patti’s free time she enjoys riding her horses and loves going to the beach with her dogs. Brandon started working at East Ventura July of 2016. He is a native to the Ventura County area and has worked with animals most of his life including grooming, doggie daycare and as a receptionist at another animal hospital. 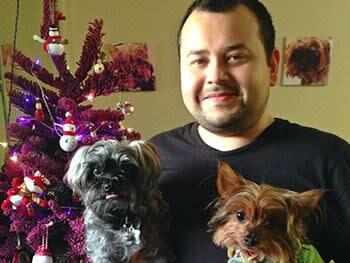 He is an avid animal lover having two very spoiled dog’s named Killer and Monster. Brandon also has a 17 year old red eared slider turtle named Philbert. In his free time he likes to spend his time with his dogs and play video games. 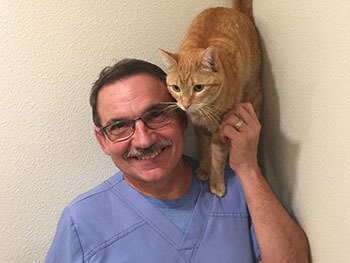 After working 34 years in the computer field, Doug joined East Ventura Animal Hospital in July 2009 working as the business manager. In 2015, Doug took time off to travel the world, meeting people from every lifestyle. Doug returned in late 2016 and could not stay away from clients and furry friends, rejoining EVAH in October 2016. Today, Doug greets client and pets when one of the staff members are out and about and not at work. You can also find him working with the doctors, on the not so friendly computer system. When not at EVAH, Doug loves working on computers, playing with his 6 cats, walking his two schnauzers and setting up a saltwater aquarium.